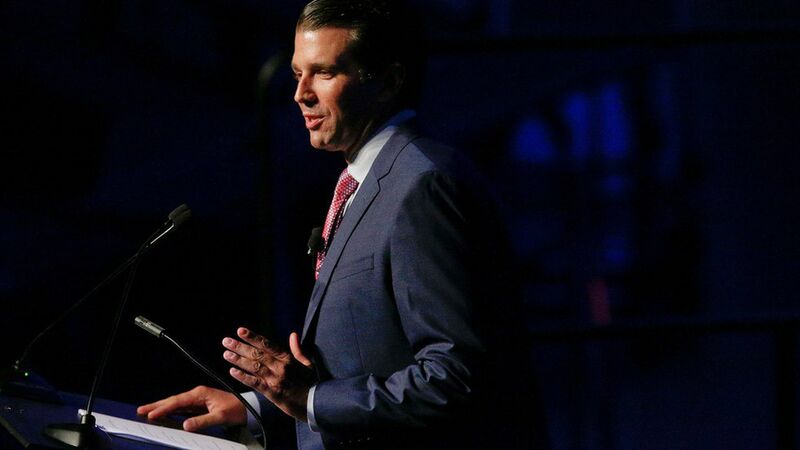 Donald Trump Jr. will speak with members of the House Intelligence Committee next Wednesday behind closed doors as part of their ongoing probe into Russia's attempt to influence the 2016 presidential election, according to CNN. His attorney did not confirm or deny to CNN that Don Jr. would attend. Context: Don Jr. originally failed to disclose his own meeting with a Russian lawyer last year after he was reportedly promised dirt on Hillary Clinton. He spoke with the Senate Judiciary committee in September, and has also been asked to speak in front of the Senate Intelligence Committee.